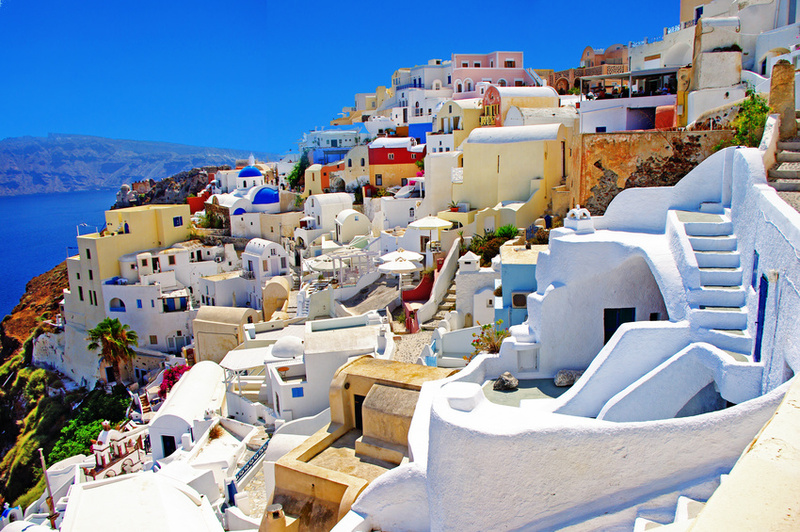 Greece and the Greek islands continue to be a popular choice for Brits buying property overseas. If you are planning to buy a property in Greece, instructing an independent, English-speaking lawyer can be one of the most important parts of the process. The property buying process in Greece can be full of potential pitfalls for overseas buyers and having a reputable English-speaking lawyer in Greece to look after your legal interests is essential to make sure you can realise your Greek property dream without it turning into a tragedy! How do you find a reliable English-speaking lawyer in Greece? If you need to instruct an English speaking property lawyer in Greece, Worldwide Lawyers can help you. We can put you in touch with a reputable property lawyer in Greece to assist with buying your dream property in Greece. Call us on 01244 470 339 and speak to one of our friendly UK based representatives who will provide FREE help to get in touch with an independent Greek property lawyer. Alternatively you can or contact us by email at info@worldwidelawyers.co.uk or click here to request a call back via our contact form. Worldwide Lawyers can connect you to a property lawyer to assist with your property purchase in Athens, Chania, Corfu, Crete, Elounda, Kefalonia, Mykonos, Neopoli, Rhodes, Santorini or anywhere else in Greek! Click here to contact us and get in touch with an independent Greek lawyer. We have provided some general information about buying property in Greece below. This information is not a substitute for specific advice from a properly qualified and experienced lawyer. It is important that you seek legal advice in relation to your individual circumstances. Worldwide Lawyers can put you in touch with a property lawyer in Greece to advise you and help make the transaction as smooth and hassle free as possible. For more information download our Free Legal Buying Guide – Buying Property in Greece. Once you have found your perfect Greek property, agreed your purchase price and Worldwide Lawyers has found your English speaking Greek lawyer you are ready to move forward with the buying process. The buying process usually starts with a preliminary contract. This is a private contract of sale where the buyer agrees to buy and the seller agrees to sell the property. It will usually include the names of the buyer and seller, the price agreed, a description of the property, payment method and any agreed conditions. Usually a deposit of around 10% of the purchase price will be payable by the buyer when signing this binding contract. If the seller decides not to proceed after this contract has been signed and deposit paid, your deposit would usually be returned. If you as a buyer change your mind at this point you would lose your deposit. This type of contract can however take various forms and your lawyer should explain the obligations and responsibilities of each party in entering this contract. Your lawyer will also undertake various searches and checks to ensure that the title to the property does not contain any restrictions, building regulations have been complied with and there is nothing in the title that may cause problems further on. They should also check that there are no outstanding debts relating to the property as these could be inherited by you as the new owner. In Greece it is not possible for property to be formally transferred without a notary public being a party to the sale contract. The Sale Contract will usually be prepared by the Greek notary (Simvoliographo). This is the document that transfers the legal ownership of the Greek property and must be signed by the buyer and seller in the presence of the notary in order to be effective. It is also mandatory for your lawyer to be present when this contract is signed as they will also need to sign this document. The main function of the notary is to certify Greek documents and agreements ensuring that they fulfil certain legal criteria and to collect the relevant taxes. The notary works on behalf of the government and does not advise or protect the interests of the buyer or seller who should both be individually advised by an experienced and properly qualified Greek lawyer. You can either sign the Sale Contract in person in front of the notary or arrange a Power of Attorney for someone else, usually your lawyer, to sign on your behalf. Should you require a Power of Attorney, your lawyer should be able to prepare this for you. You can put the Power of Attorney into effect by signing this in Greece in the presence of a Greek notary, through the Greek consulates in the UK, or through a British Notary Public with a Hague Apostille. At the signing, the notary will read the contents of the sale deed and, if satisfied that both parties understand the terms of the contract, will sign and complete the contract. Property transfer tax will need to be paid by the seller before the contract is signed. Once the sale contract is signed on behalf of all relevant parties the balance of the purchase price is paid and the notary will then register the transfer of the property with the Greek Land Registry (National Cadastre). The next step is to enjoy your new property relaxed in the knowledge that your independent Greek lawyer has taken care of all legal formalities and your interests have been protected. Congratulations! The additional costs of buying a property in Greece are on average around 10% of the property purchase price. With off-plan properties you normally pay a deposit to the builder and then a series of stage payments. Transfer tax is similar to Stamp Duty Land Tax in the UK. This is usually charged at 3% of the property value. This is based on the assessed tax value of the property rather that the purchase price agreed. When buying a “new build” property you do not need to pay transfer tax but will have to pay VAT (24%) instead. This may be included in the purchase price so check this before any formal offer is made. Lawyer’s fees are charged as a percentage of the purchase price. Greek law sets a minimum charge that your lawyer has to make for acting in a property transfer but there is no maximum. Fees typically total around 1-1.5% of the purchase price. The charges are usually around 1-2% of the assessed tax value of the property. There are usually some small additional charges which relate the number of pages in the document to be signed and how many copies of the contract that need to be issued. The fee payable will be dependent on the assessed tax value of the property and are from 0.3 to 0.5% of this value. There may additional small fees for stamp duties (different to Stamp Duty Land Tax in the UK) and certificates. The estate agents fees are usually paid by the seller but can be shared between the buyer and seller by agreement. Estate agents usually charge a percentage of the sale price – typically 2-5%. Instructing an independent English speaking Greek lawyer to provide advice and reassurance that the legalities are checked on your behalf is essential. You should protect yourself by instructing a lawyer as soon as possible and before any formal steps have been taken to purchase a property in Greece or before any mortgage has been formalised. This will allow your lawyer to advise you properly on all aspects of the transaction to ensure your position is fully protected. Contact us on 01244 470 339 for free help to find an independent English speaking lawyer to assist you with buying a property in Greece.